Candock dock systems from Canada, specialising in floating pontoons and jet-ski docks, covered by a 20 year warranty. 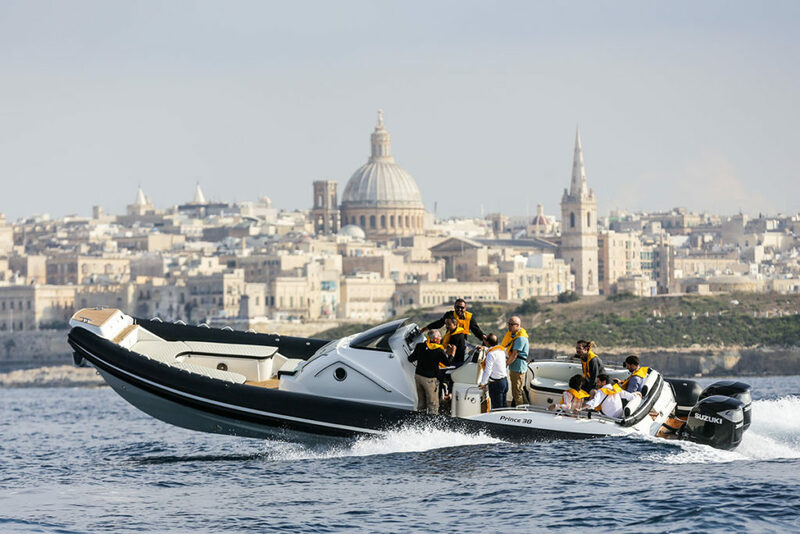 Strand Marine and eNGO Żibel have partnered up to bring the award winning Seabin to Malta in their efforts to provide a holistic solution to combat marine waste and the hazards that such waste pose to marine eco systems. The Seabin is a floating debris interception device and a revolution in ocean cleaning technology, It helps create cleaner oceans with healthier marine life. It is designed to be installed in the water of marinas, yacht clubs, ports and any water body with a calm environment. 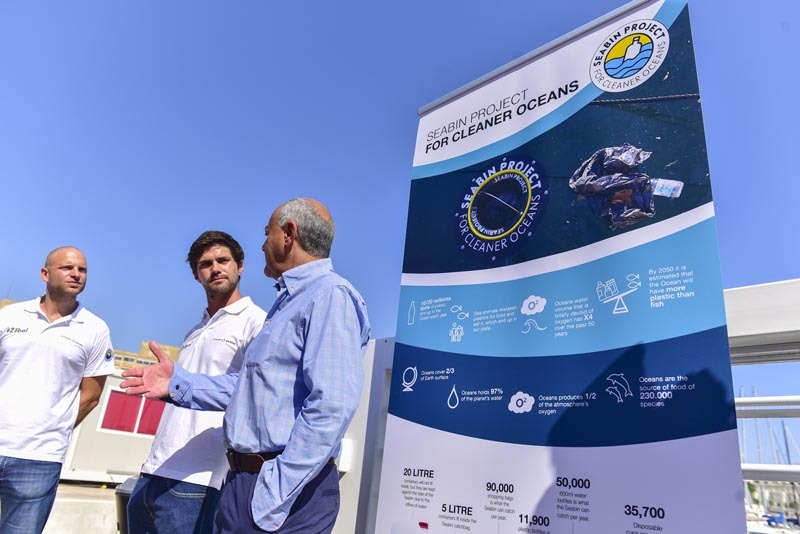 Acting as the Maltese Distributors for the Seabin, Strand Marine and Żibel have installed the first device at the Marina di Valletta, which was launched this morning in the presence of the Hon. Dr. Jose A. Herrera, Minister for the Environment, Sustainable Development and Climate Change. Since its installation a week ago, the Seabin collected over 9 kilogrammes of waste. “This partnership, a continuation of past collaboration between our two entities provides the perfect mix to implement the Seabin project locally. We intend to not only focus on product installation, but attempt to tackle the issue of ocean waste holistically by using the Seabin project as vehicle to spearhead educational attempts and raise awareness” said Matthew Travers Tauss, Director, Strand Marine “ At Strand Marine we have always understood the importance of keeping our marine environment healthy and this has always been very much our company’s concern. The Seabin Project is something that we have been following from the start and we look forward to seeing this project evolve and grow. ” “Today’s Seabin launch builds on the body of work #Zibel and Strand Marine have been building over the past year and a half. For us, Seabin is not only a debris collection device but an education resource. This new device allows us to expand our data collection, content generation and provide us with first hand samples of the debris found in our waters. Another crucial part of Seabin in Malta is the social element, and so we are excited to be launching a local crowdfunding project to encourage the general public to fund Seabins in their areas. The fund pushes participation at a community level which we hope will entice industry to follow and support.” – Andrew Schembri, Co-Founder, Żibel. WHAT IS THE SEABIN The V5 Seabin unit is a floating debris interception device designed to be installed in the water of marinas, yacht clubs, ports and any water body with a calm environment and services available. WHAT CAN THE SEABIN CATCH? The Seabin can catch an estimated 1.5 kg of floating debris per day (depending on weather and debris volumes) including micro plastics down to 2 mm small, that equates to roughly ½ ton per year per Seabin. HOW DOES IT WORK? The Seabin moves up and down with the range of tide collecting all floating rubbish. Water is sucked in from the surface and passes through a catch bag inside the Seabin, with a submersible water pump capable of displacing 25.000 liter per hour, plugged directly into a 220V outlet. The water is then pumped back into the marina leaving litter and debris trapped in the catch bag to be disposed of properly. WHERE TO PLACE IT The Seabin is installed in a specific “Debris problem area” in the marina on a floating dock. This strategic positioning enables the wind and the currents to push the debris directly to the Seabin. NOTES FOR EDITORS | SEABIN PROJECT - FACT SHEET Seabin can catch 500kgs of waste per year Running costs less than 1 Euro/day Most Caught Items 29% cigarette butts 28% plastic pieces 26% food wrappers 5% foam pieces 4% bottle caps 2% straws/stirrers 1% cans 1% bags To learn more about the Seabin project please email the team on hello@seabinmalta.com. Copyright 2019, Strand Marine & AutoSystems Ltd.